Miami is practically heaven when it comes to business, there’s nothing holding you back in terms of variety, indoors & outdoors cool locations and different clientele as well as local all year long! 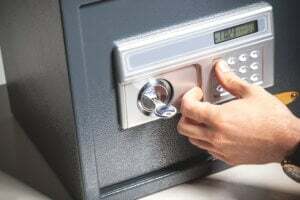 Quality- Miami’s businesses are mostly frequent users, and that means strong reliable security and locksmith products and service; Quickly Locksmith offers commercial locksmith services 24/7. Our locksmiths are all certified locksmiths, which offer their expert opinions (check out our clientele for further info). Each product at our local Miami locksmith store is selected personally and we vouch for each and every ones quality. Price– a business is a business after all, and the products & service must prove to be cost-worthy. We offer affordable prices and personalized service for each business, according to their requirement and current development stage (we also have great experience with early construction security and locksmith, large complex, early design security advisement etc.). we’re so sure our prices are fair and affordable we offer free estimations at our local Miami locksmith store. Prompt service- no need to explain, when a business is having an emergency it needs to be resolved quickly. We get it! and that’s why our locksmith work 24/7 and maintain an accurate 15 min response time with every call, we come well equipped with our mobile locksmith units to offer any commercial locksmith services on the spot!